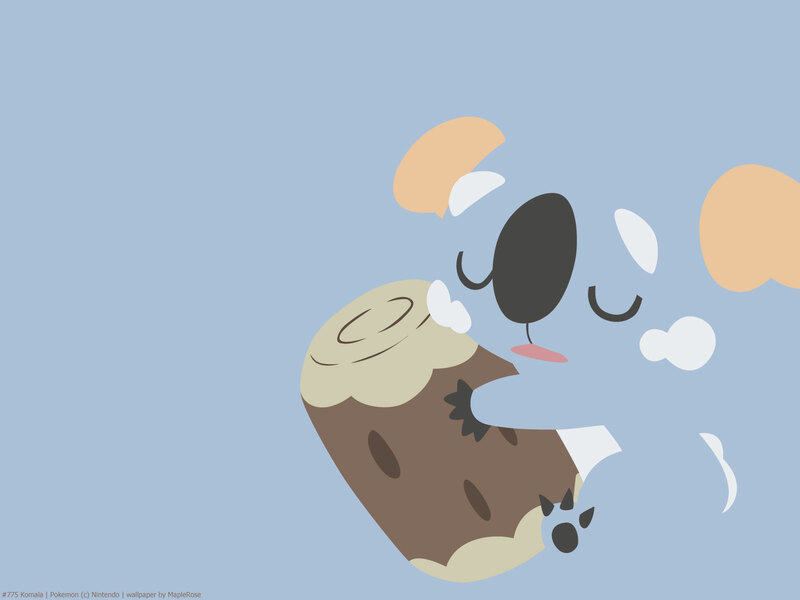 Komala is forever asleep. According to its UltraMoon Pokedex entry, this is due to “the sedative properties of the leaves that form its diet” (probably as a reference to the eucalyptus leaves that koalas eat, which are poisonous). I guess this means it eats while it sleeps? 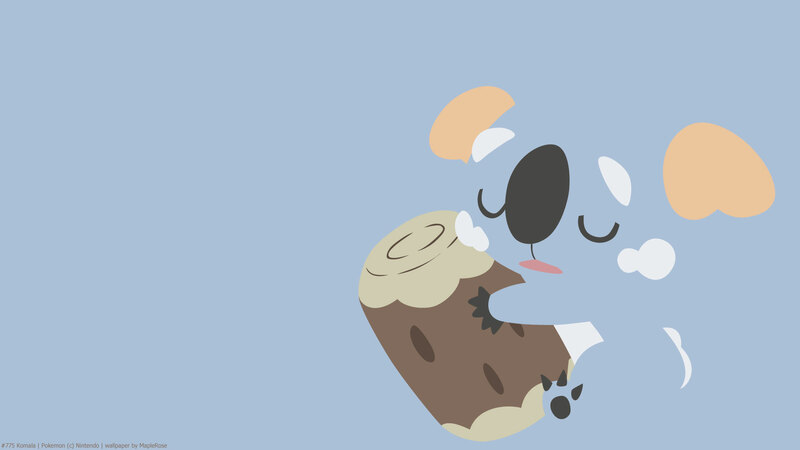 In the anime, a Komala rings the school’s bell, all while snoozing away. Komala does not evolve into or from any other Pokemon, but its stat total isn’t that high. It’s kind of a gimmicky Pokemon. 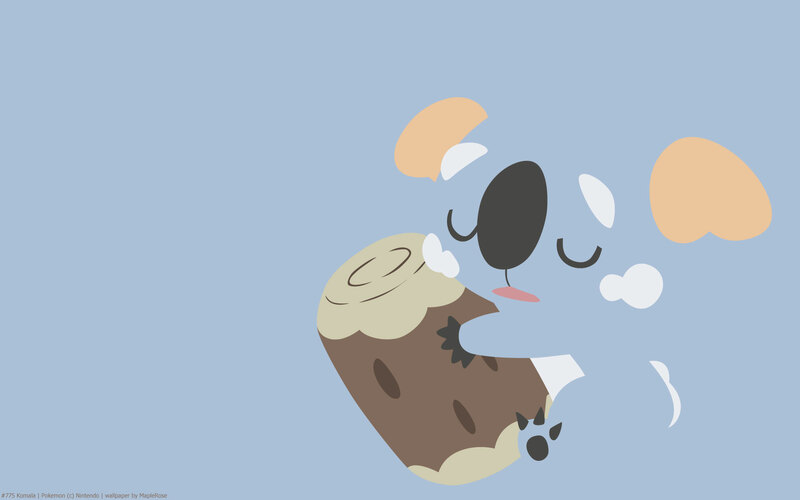 Its signature ability is Comatose, which lets Komala act as if it’s asleep, but without actually having the Sleeping status (and as such cannot be woken up), and being able to use moves (including Snore and Sleeptalk) normally. This ability cannot be suppressed by abilities like Mold Breaker, or moves like Gastro Acid; it also cannot be Traced or replaced by Mummy or Skill Swapped away. It’s nice in that it prevents Komala from getting other non-volatile statuses (eg Paralyzed or Burned), but the downside is that Komala can’t use Rest to heal itself (though it does learn Stockpile + Swallow by level-up, for healing options), and moves that inflict damage on sleeping foes will apply (eg Dream Eater, double damage from moves like Hex and Wake Up Slap). Stat-wise, Komala actually has pretty good Attack, and decent Sp Attack; but its Defense, Hp, and Speed and pretty low.